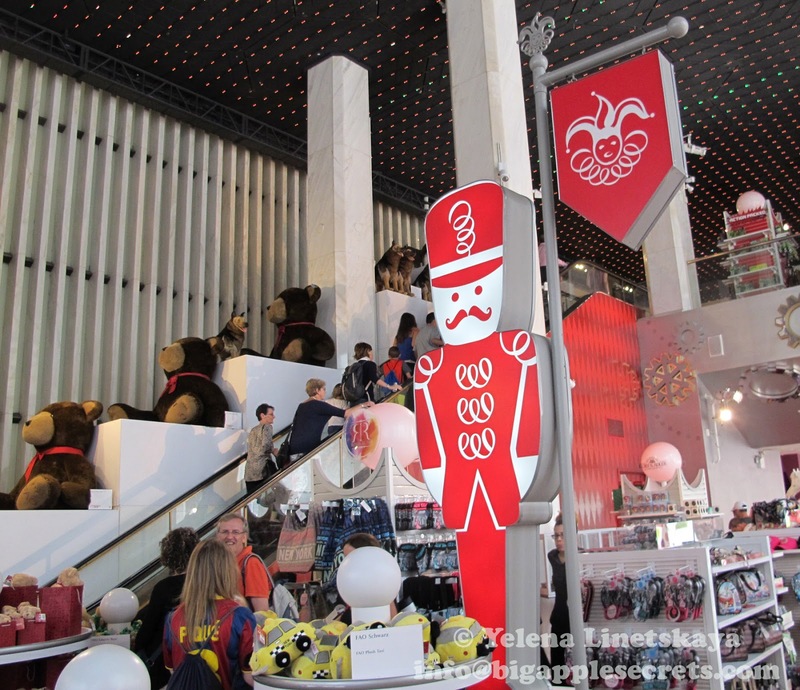 FAO Schwarz, founded in 1862, is the oldest toy store in the United States . It is one of the most famous toy stores in New York City, and one of the most famous toy stores in the world. There has been an F.A.O. Schwarz toy store in New York City for the past 147 years! Frederick Schwarz was born in Herford, Westphalia. In 1856, Frederick, the youngest of three Schwarz brothers, emigrated to the U.S. joining his brothers in Baltimore, Maryland. Six years later, the brothers opened ''Toy Bazaar,'' their first toy retailing business. Following the success of ''Toy Bazaar,'' Frederick moved to New York City in 1870 where he opened his first toy store at 765 Broadway, a location that placed him at the center of what was then New York's most fashionable shopping district. 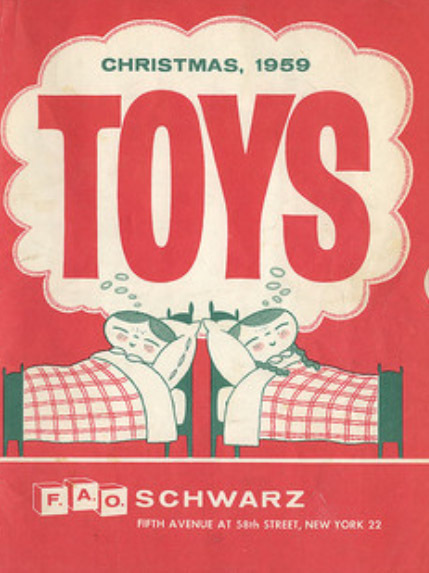 Schwarz is believed to have introduced the first live Santa Clause in December 1875; it inspired other stores, including Macy's, to offer their own versions. In 1896, Schwarz proclaimed the store as the "Original Santa Claus Headquarters" in New York. In 1876 the company issued its first catalog, attracting an even wider consumer base. 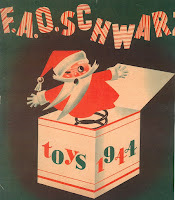 That same year Schwarz moved the business uptown, to larger quarters at 42 East Fourteenth Street. 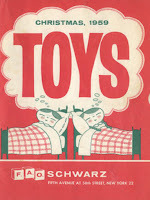 By the end of the decade Schwarz was reputed to be the largest toy dealer in the world. 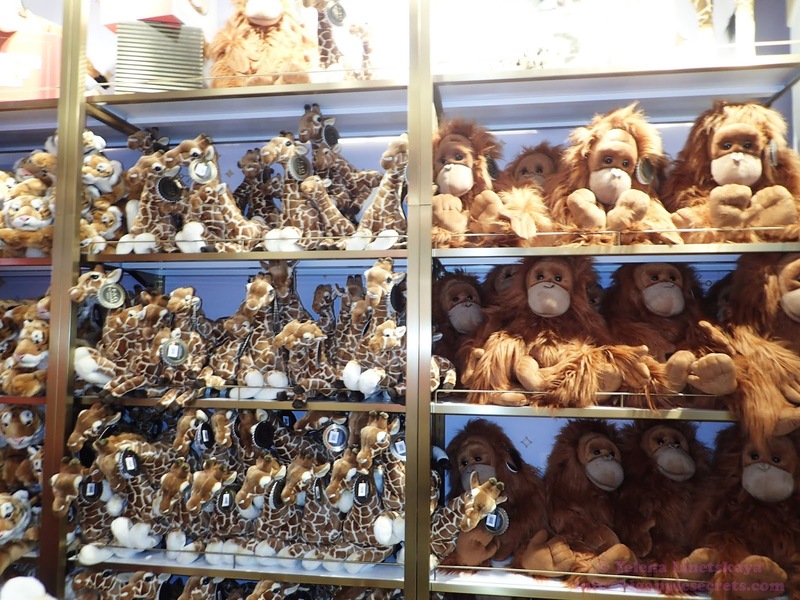 Parents and kids were impressed by his displays of handmade dolls with elaborate wardrobes, exotic stuffed animals covered with real fur, authentically detailed toy soldiers and models of full-rigged sailing vessels and working reproductions of trains and carriages. In 1931, the New York City location moved to 745 Fifth Avenue into Squibb Building, the new Art Deco skyscraper. 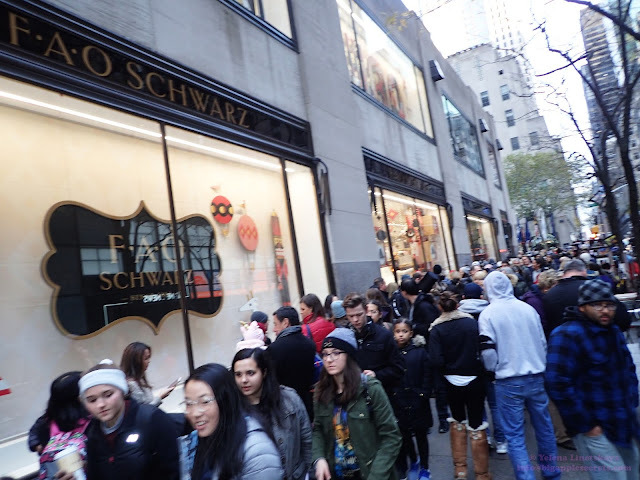 At one point, there were 40 locations across the United States, but the Fifth Avenue store is the last one remaining. 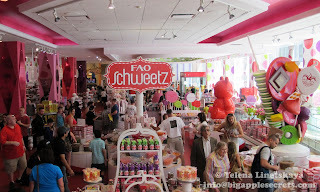 In May 2009, Toys "R" Us Inc. acquired FAO Schwarz. Three years ago rising rents in midtown Manhattan have claimed another victim: The F.A.O. 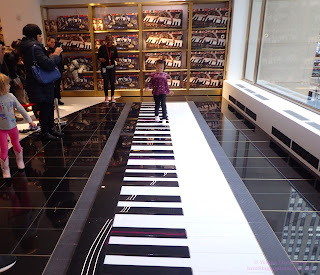 Schwarz flagship store on Fifth Avenue closed its doors on July 15, 2015. 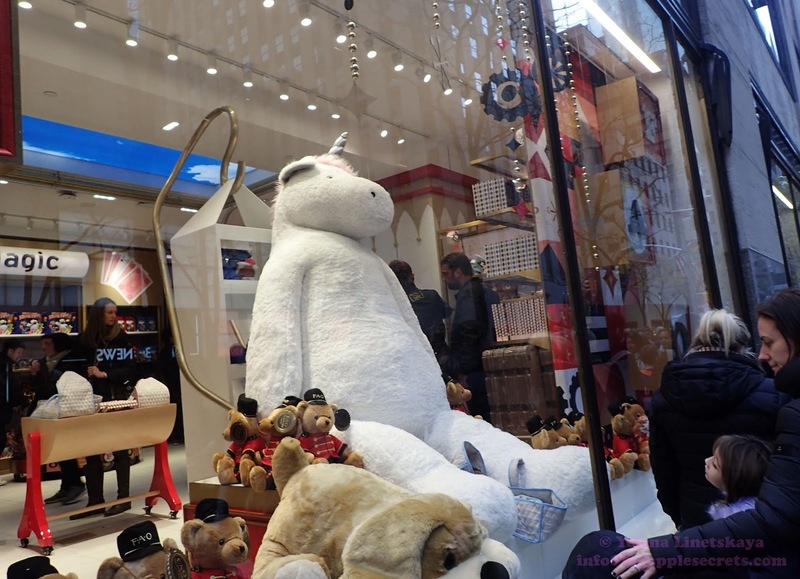 There were rumors that the new store will be open at the base of Paramount Group‘s 2.5-million-square-foot office tower at 1633 Broadway between West 50th and West 51st Streets, just in time for the 2016 Christmas season. It did not happen. 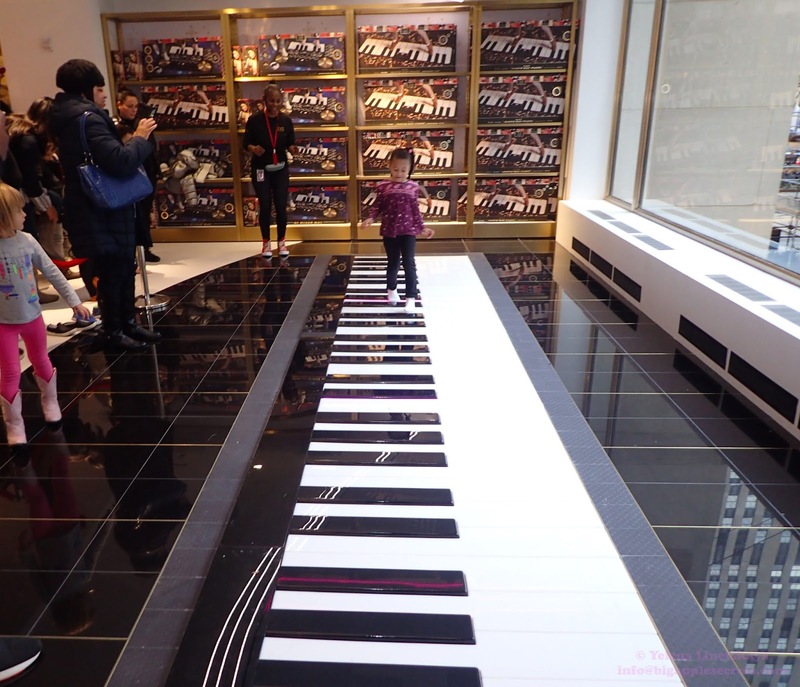 Just three years after its Fifth Avenue storefront shuttered back in 2015, FAO Schwarz's new flagship is open again. 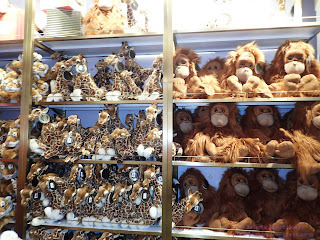 The store reopened at 30 Rockefeller Center on November 16, 2018. The trademark toy soldier uniforms were redesigned. 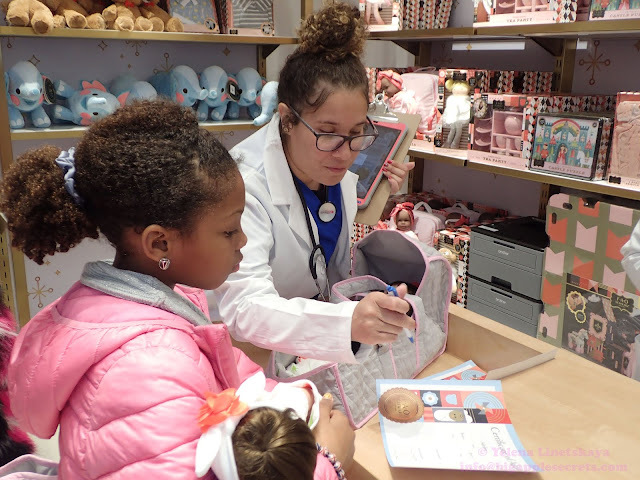 The retailer brought back the iconic dance-on piano and clock tower while adding new interactive toys and activities, including a build-your-own race car station, live magic shows and play grocery store. 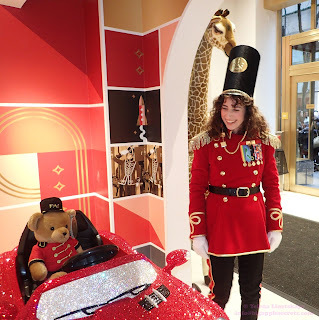 Life-sized versions of classic toys such as a space ship, fire truck and toy train serve as bulk candy containers, and recognizable design elements such as the Toy Soldier and a New York City subway car serve as a check-out counter. 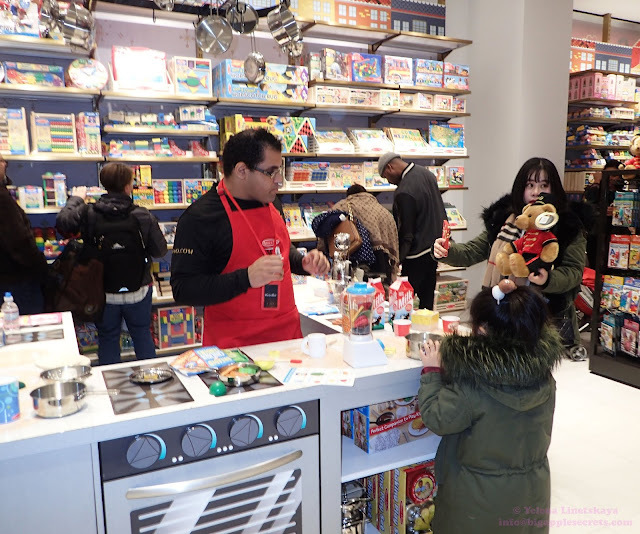 In addition, visitors find several new products in the entertainment program : among them, a toy store, training bus racing and exciting magic show. There are even more things to experience in the new location. For one, when kids pick out a doll, they'll be "interviewed" by an "adoption agency" to ensure that they'll be a good parent to their inanimate child. 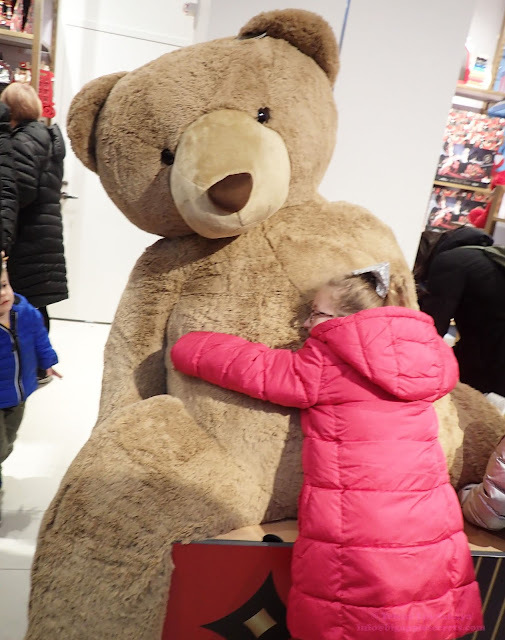 My son-in-law bought one of those huge teddy bears in the photo...Insanity..